Piech Automotive revealed its Mark One concept at the Geneva motor show. ELECTRIC cars could receive 400 kilometres of range in less than five minutes through technology revealed at the 2019 Geneva International Motor Show. The claim comes from Swiss startup Piëch Automotive, a new company founded by industrial designer Rea Stark Rajcic and automotive prince Anton "Toni" Piëch, son of renowned Volkswagen executive Ferdinand Piëch and great grandson of Ferdinand Porsche. Those family links might be why Piëch's tagline is "We stand on the shoulders of giants, but refuse to bow to industry convention". The tiny company claims to have co-developed a new type of battery cell that is extremely resistant to overheating. Technical details surrounding the claimed breakthrough are scarce. But the company says heavy water cooling hardware is no longer required by its battery system, making it much lighter than rival systems. 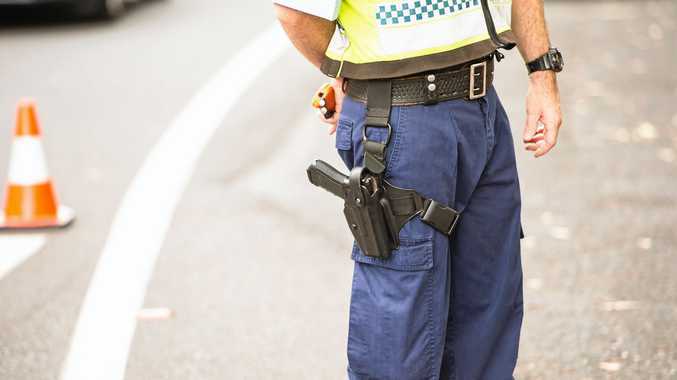 Heat is one of the main factors limiting the rate at which batteries can be charged. Piëch says better thermal management from cells sourced through Hong Kong's Desten Group means "much stronger currents can flow without increasing the battery temperature", giving it an advantage over existing systems. For now, the brand's claims are hypothetical. Piech Automotive says its battery cells offer significant charging and packaging advantages. Respected US motoring title Car and Driver is sceptical of Piëch's claims, describing them as "almost too good to be true". Other leaders in the electric vehicle space have not come close to matching Piëch's claims. Tesla models plugged into the brand's supercharger network require at least half an hour to reach the same level of charge claimed in five minutes by the Swiss concern, while Porsche's upcoming Taycan has the potential to receive an 80 per cent charge in 15 minutes - but only when connected to ultra-fast charging points which are extremely thin on the ground. 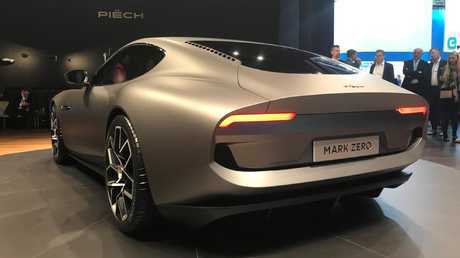 Piëch Automotive presented its technology in a concept car named Mark Zero, a classically styled coupe which blends elements of the 1960s Shelby Cobra Daytona with the likes of Jaguar's E-Type and members of the Aston Martin range. 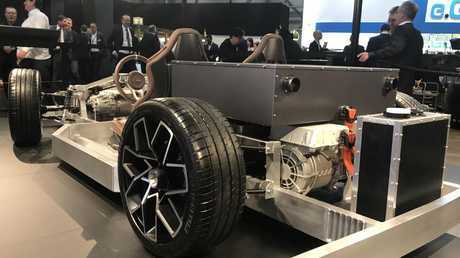 A claimed weight of 1800kg - less than any other high-performance electric car - allows the concept to reach 100km/h in 3.2 seconds, helped in no small part by a 150kW electric motor on the front axle and a pair of 150kw motors driving the rear wheels. The Mark Zero blends retro style with modern battery tech. The good news for enthusiasts is a dense battery design which allows cells to be packed into what would normally serve as a transition tunnel, giving designers a chance to position occupants as low as possible within the car, lending it a sleek roofline. Electric cars such as Tesla's Model S place enormous batteries in the floor of the car, improving their centre of gravity but compromising a driver's hip point and the ultimate height of the vehicle. 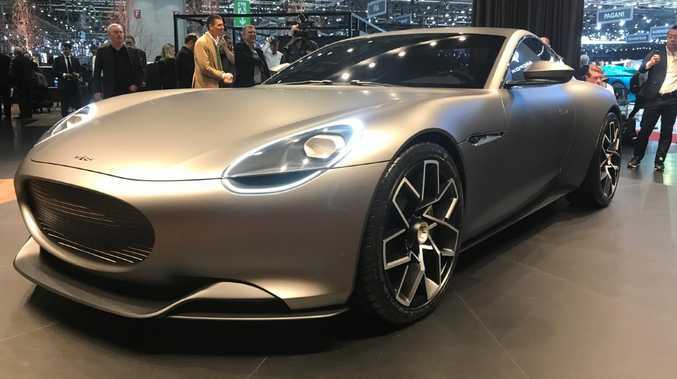 Piëch says new charging hardware is necessary to make the most of its battery tech, and that it is willing to share access with other marques. Having had family insight into the power of innovation and the mighty potential for scale within the likes of the Volkswagen Group, it's likely Anton Piëch and his associates are gunning for their technology to be licenced by mainstream manufacturers, as opposed to the fledgling concern ramping up production to tackle established manufacturers.